Solar roof top kits offer efficient and economic ways to harness the solar energy touching your roof tops/home to generate electricity. It work as ATM that regular pay you. 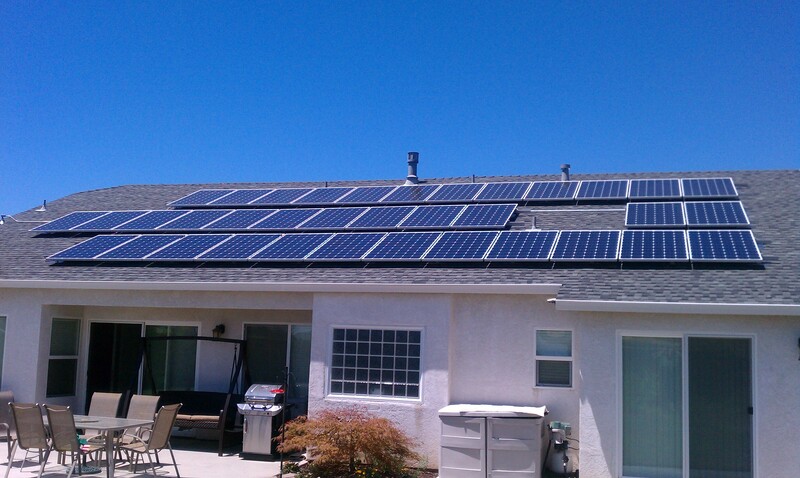 frugal & efficient way to power up your home with solar. Independence from untimely power cuts. Independence from ever increasing power tariffs. Very low maintenance cost and no fuel cost with long life. 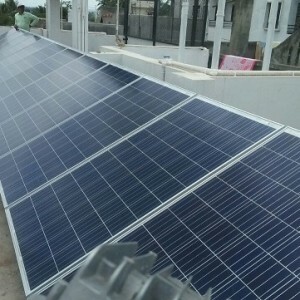 Includes solar modules, inverter, charge controller etc. 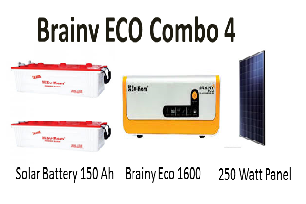 Warranty: 5 years manufacturing warranty and 25 years performance warranty for modules and 5 years manufacturing warranty for Inverter. What is on grid system ? 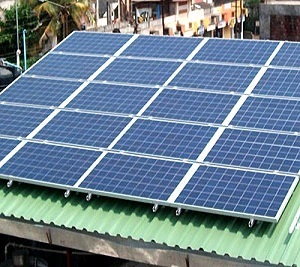 Grid-tie solar systems are designed for those who already have electric utility service, but wish to significantly reduce their electric bill. With grid-tie solar systems, you generate electricity when the sun is shining, and sell any excess back to the electric company. When the sun isn't shining, you just buy power from the grid, same as everyone else. How do i calculate my requirement for going solar for on grid system? How will i know how much electricity i have supplied to the grid? 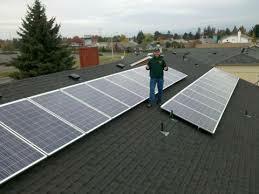 Or what is net metering ? A meter is issued to measure the amount of electricity being delivered from the grid. 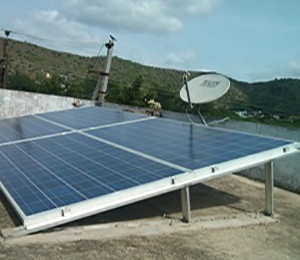 solar net metering use specialised bidirectional meters that also track the amount of electricity flowing back to their local power grid. The bidirectional meter records how much electricity is delivered to your facility. And on the "sunny side," if your solar panel system is in full swing and producing more energy than your operation can use, the meter records the electricity received by the utility. A third reading on the meter displays the difference between the amount delivered and received. Are there any benefits involved in going solar? 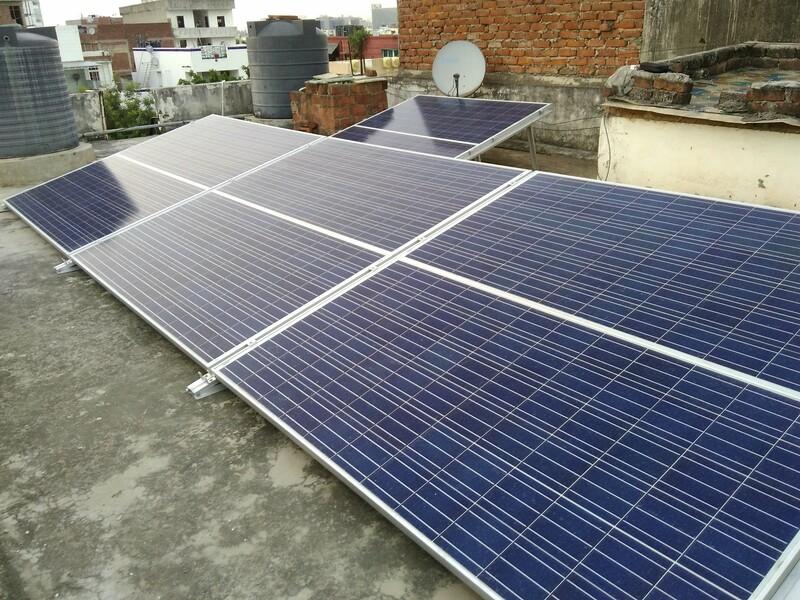 Yes govt of India is providing 30% of subsidy on the total project cost ,all documentation for subsidy approval and net metering approvals will be handled by indiagosolar project team.you can have high savings in your electricity bills. 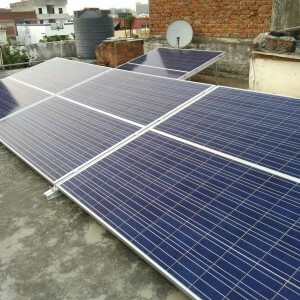 Are there any conditions for getting subsidy for my solar project? All necessary documents needed for subsidy approval can be uploaded at our portal once the order has been placed,dedicated indiagosolar executives will help you in giving the details what all documents have to be uploaded to ensure smooth approval process. What kind of maintenance schedule do I have to follow to keep the Solar PV System in a healthy Condition? 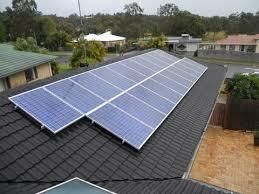 A Solar PV System requires very minimal maintenance from the owner and is very easy to maintain. 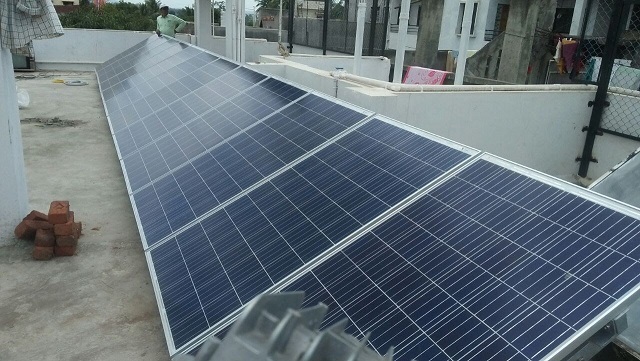 Regular cleaning of the Solar Arrays should be ensured so that the system works at its full efficiency and occasional checks should be done to ensure that there is no shading over the Solar Array because of any obstruction. 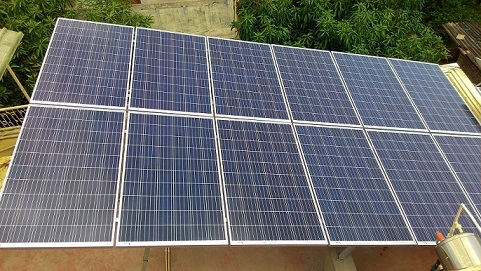 The components of the system except the Solar Arrays have to be kept in a shaded area. How much Roof Top Area do I require to install a Solar PV System? 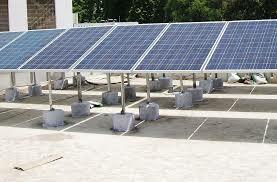 It is mandatory for a Solar PV Setup to have a shade free area all the time of the day. 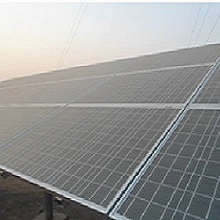 The most important factor on which the area of a Solar PV System depends is the Panel Efficiency. Generally, a Solar Panel with 15% efficiency requires 100 Sq. Ft. of shade free roof area. While a Panel with 12% efficiency needs approximately 125 Sq. Ft. of shade free roof area. 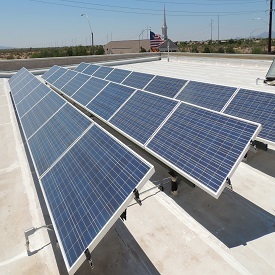 Another factor is the weight of the Solar Panels that may put pressure on the roof of the building. For very old and poorly built buildings the Panels have to be scattered in a larger area so that the construction can withstand there weights. Can my solar roof top kit be modified according to my requirement? 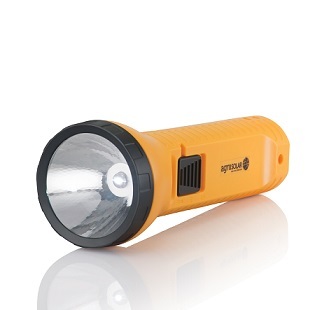 Yes, the solar kit can be easily modified according to the required load and the time for which the backup is needed. It can be arranged to be expanded further in case the requirement is expected to increase later from your roof top system. 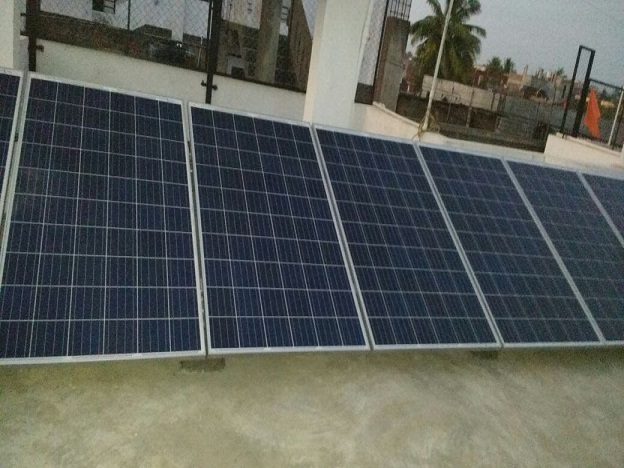 But if you are planning to expand it later it is recommended that the inverter and battery should be selected beforehand according to the later requirement so that they do not require a replacement once the expansion is done.